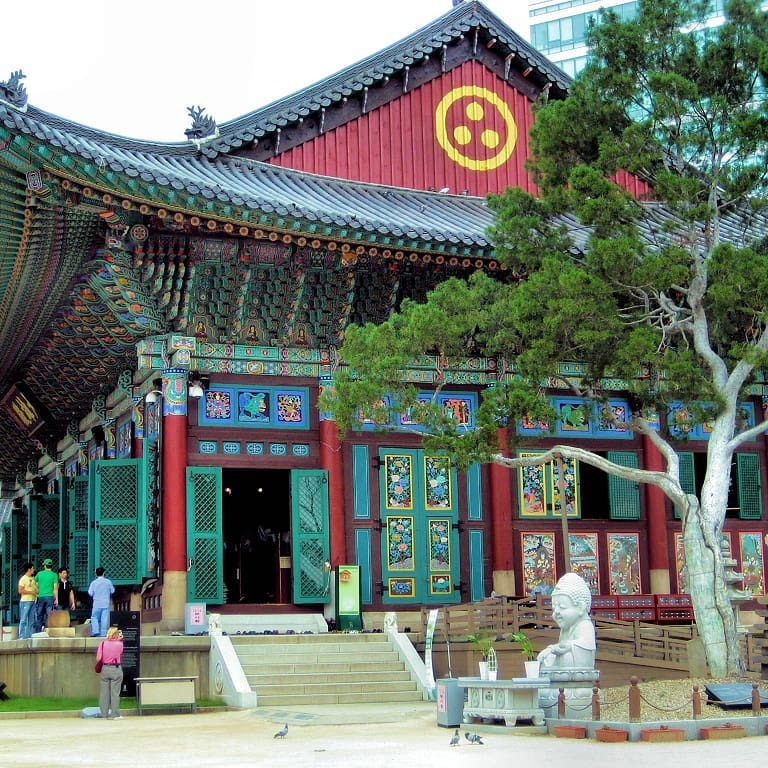 Besides being one of the world’s largest economies, Korea is also a Buddhist country. Along with Confucian, Christianity, and Taoism, Buddhism has been one of the main religions of Korea. So it’s no surprise that Korea is full of Buddhist structures like pagodas, shrines, and temples. And today I’ll show you one of the most famous Buddhist temples in Korea, Jogyesa Temple. I hope this guide can give you the information you need on your trip to Korea. So let’s jump right into it. Founded in 1395, the temple was initially named the Gakhwangsa Temple. During the Japanese invasion, the temple became one of the strongest fortresses of Korean Buddhism in the 1910-1945 period. Gakhawangsa Temple later emerged as the temple of the resistance to Japanese efforts to suppress Korean Buddhism. In 1937, a movement for the establishment of a Central Headquarters began which was successful with the building of the Main Buddha Hall of Jogyesa Temple in Seoul in 1938. In 1938, people knew the temple under the name Taegosa Temple. Later, in 1954, people began to call it its current name, the Jogyesa temple. 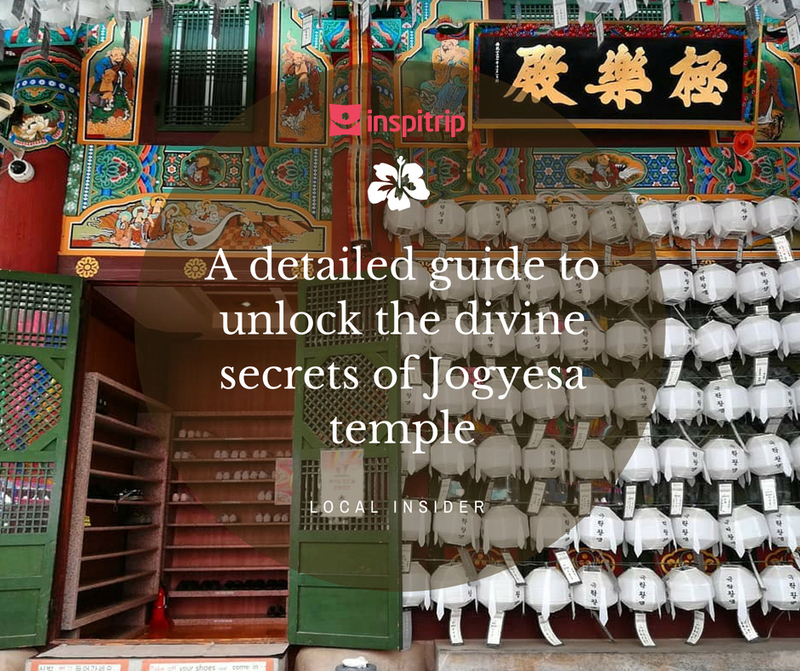 They chose this name to highlight the structure’s status as the main temple of the Jogye Order of Korean Buddhism. Jogyesa Temple plays an important role in Korean Buddhism as the head temple of the Jogye order. Jogyesa Temple’s Dharma Hall serves as the main venue for several Buddhist events, rituals, lectures, ceremonies, and other events all year long. 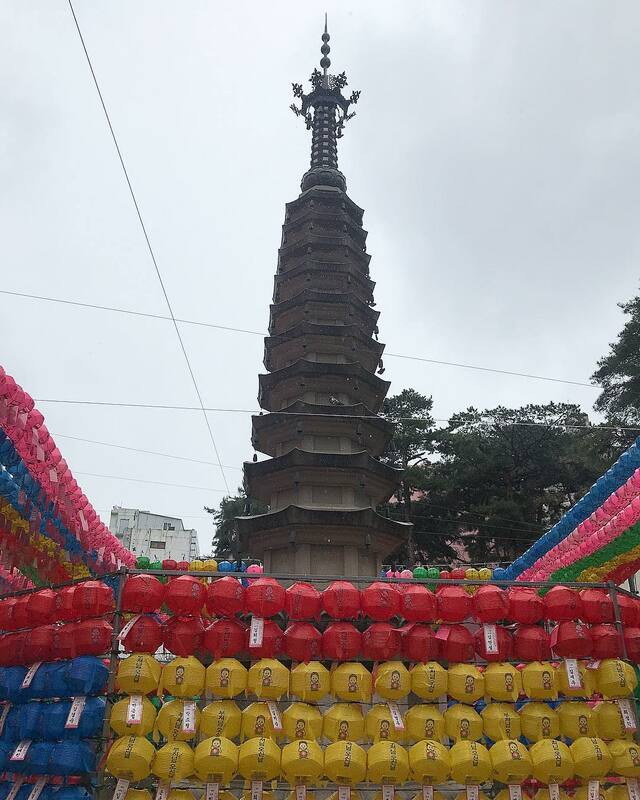 The annual lantern festival in celebration of Buddha’s birthday also takes place at this temple. If you’re staying in Seoul, you can easily get to the temple with a variety of choices in vehicles. Walking is a great way to reach your destination and you can even do a bit of sightseeing. Or you can just get a taxi and go straight to the temple. 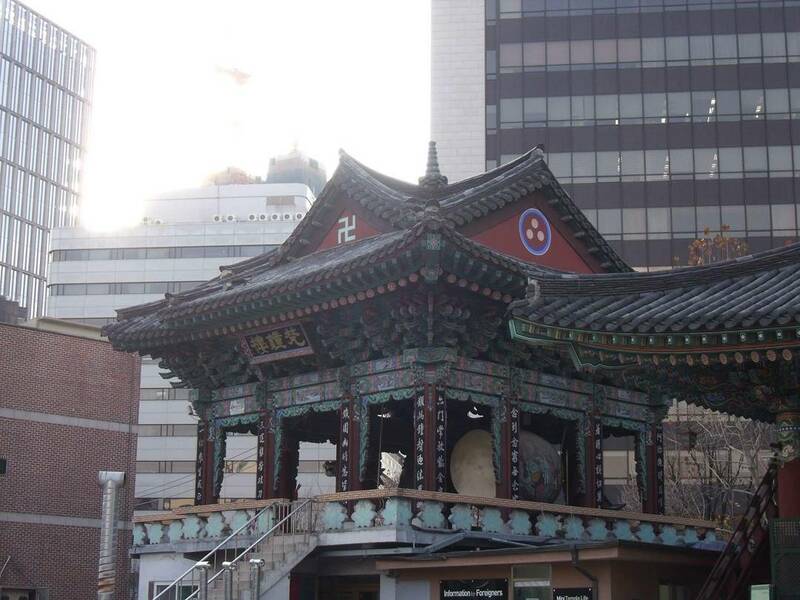 Either way, you can find the temple at 55, Ujeongguk-ro, Jongno-gu, Seoul. If you’re taking the subway, here a more detailed guide for you. Take Jonggak Station Line 1, Exit 2. From the exit walk straight for about 70 meters then cross the street. Then go 100 meters more to reach the road leading to the temple. You can also take Anguk Station Line 3, Exit 6. At the exit, walk about 50 meters forward then cross the street in front of Dongduk Art Gallery building. There’s also Gwanghwamun Station Line 5, Exit 2. From the exit, go for about 150 meters to reach the road leading to the temple—you’ll notice YTN Park Tower and Hana Bank towering the path. The temple is open all year round so you can visit it anytime you want. And it’s also free, so it’d be a shame if you didn’t visit Jogyesa temple. My recommendation is that you should visit Korea either from March to May, or September to November. The weather in Korea at these time is mild. So you won’t have to worry about the heat. Although the temple is open all day, I suggest that you should visit the temple at around 9 AM and try to finish your tour before 12.30 PM. This way you can have a quiet and peaceful tour. Whether you’re a Buddhist or not, the atmosphere at Jogyesa temple will give you an incredible feeling. It doesn’t give off the solemn and traditional air that other temples located deep in the wood or the mountain does. Neither does it offer the seasonal scenery of the wood, mountain or sea. 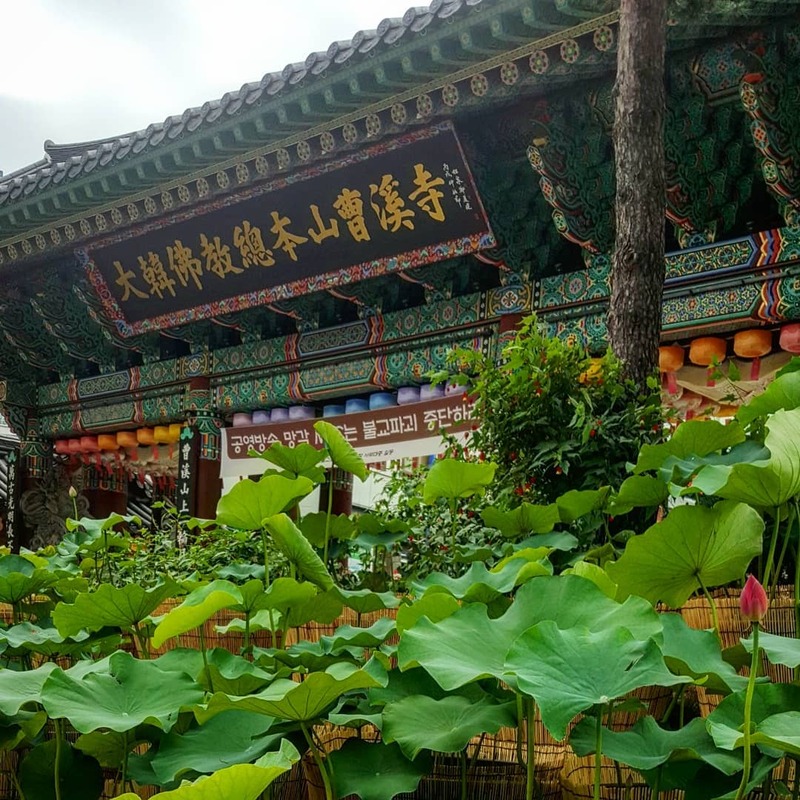 Because the temple stands in the middle of the big and busy city of Seoul and is well connected to the surrounding areas. Therefore, Jogyesa temple offers you an oddly peaceful feeling. You can sit down somewhere in the temple and enjoy a sense of peace in the middle of a metropolitan. If you’re lucky enough to visit the temple during a festival, you can truly see the unparalleled beauty of the temple. With lanterns and colorful decorations, you can admire the religious side of the busy people of Seoul. The festivals take place on May 6-8, so if you can, definitely pay a visit to Jogyesa temple on those days. Jogyesa temple is also a great choice for tourists on a tight schedule. Strolling along the streets near the temple, you can see many Buddhist specialized shops. They sold things such as prayer beads, Buddhist writing, incense and souvenirs like keychains or dolls. If you’re interested in Buddhism, these stores are really a treat to look at. Originally, the tree resides at Gakhwangsa Temple. Later, people moved its current location here at Jogyesa temple. Beaksong stands right outside the Daeungjeon (Main Dharma Hall). Near Beaksong is a 450 years old Chinese Scholar Tree. This tree belongs to the pea family and as mentioned above, it’s over 450 years old. It is 26 meters (85 feet) high with a circumference of 4 meters (13 feet). In August, it produces creamy white blossoms. During the fall, it produces strings of bead-shaped fruit. In the winter, all the leaves fall off. In the spring, beautiful green leaves will begin to grow once again. People often plant these trees near Buddhist temples and palaces. 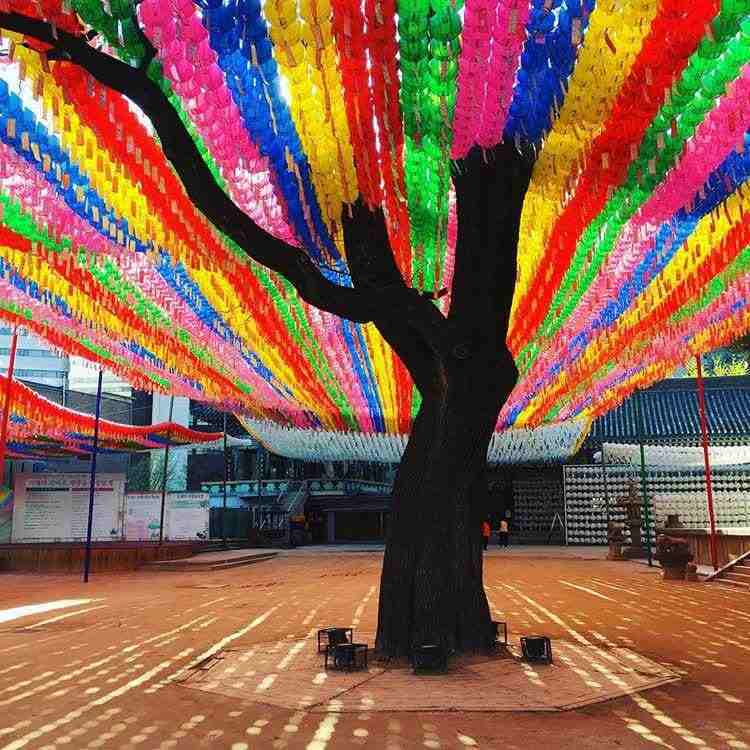 They believe the tree can convert negative energy into positive energy and happiness. That’s the reason why it’s also planted near the Daeungjeon. They also decorate the trees during the festival, I’d be a real treat if you can see the trees when they are decorated. The Beomjongru (Brahma Bell Pavilion) is a colorful building that houses four temple instruments which are played before the morning and evening chanting. The four instruments are the Brahma Bell, Dharma Drum, Cloud Gong, and Wooden Fish. Every day, the monks will ring the Brahma Bell 28 times in the morning and 33 times in the evening. They believe in doing so can save those who are suffering in the world through the dharma. The other 3 instruments: The Dhara Drum, Wooden Fish, and a metal Cloud Gong are meant to save those on land, in the sea, and in the sky and space. The design of the building and the different colors are a very beautiful sight. You can walk up the stairs to get a close-up view of the building and of the instruments housed inside. In the honor of Amitabha, a celestial Buddha, people build this place, the Paradise Hall. According to the legends, he leads people to their place ultimate enlightenment. This hall is one of the newest and most modern in Jogyesa Temple. Amitabha Buddha is the principal Buddha in a type of Buddhism practiced in East Asia known as Pure Land Buddhism. Amitabha means “Infinite Light.” Therefore, other names for this building include Hall of Infinite Life and Hall of Light and Life. Iljumun (One Pillar Gate) is the colorful and large main gate into holy Jogyesa Temple. Daeungjeon (Main Dharma Hall), can be seen in the background. The name is derived from the single, horizontal post, that symbolizes one mind. It is said that when people walk through, all scattered minds become one. The signboard at the top of indicates the status of the Jogyesa as being the Head Temple of Korean Buddhism. The signboard was inaugurated in October 2007. After passing through the gate, you will arrive at a large Daeungjeon (Main Dharma Hall). Outside the hall are two trees, Baeksong (Lacebark Pine Tree) and the Chinese Scholar Tree. The Ten Story Buddha Relic Stupa houses a relic of the Buddha which was brought here by a monk after it was given to him by the royal court of Thailand. The monk, Anagarika Dharmapala (1864-1933), was given the relic by the King of Thailand. Dharmapala then brought the relic to Korea and finally to Jogyesa Temple. When the relic first arrived here, people housed it inside the dharma hall. At the time, people still called the Jogyesa Temple the Gakhwangsa Temple. On every 4th Friday and Saturday of the month, Jogyesa temple hosts a temple stay program. This program is mostly directed toward foreign visitors, to help them learn more about the Jogye Buddhism culture. And they offer this program for free, so you don’t have to worry about anything. They offer lessons and temple stay program so that you may learn many things, such as meditation methods, tea-making ceremony, and Buddhism religion history among other interesting aspects of their religion. Although the program is free, you’re very welcomed to offer some amount. This can help them maintain the program and support other necessities for the temple. You can enjoy the healthy vegetarian meals prepared by the monks while you’re undergoing their program. If you don’t want to participate in the program but still want to taste the food, you definitely can. The temple authorities established a restaurant so you can try it. Having a Buddhist vegetarian meal is absolutely a must-do thing if you want to experience Buddhism. Here are some small tips for you to make your trip to Korea a little bit better. If you’re visiting during the hot months, try and carry a bottle of water with you at all time. 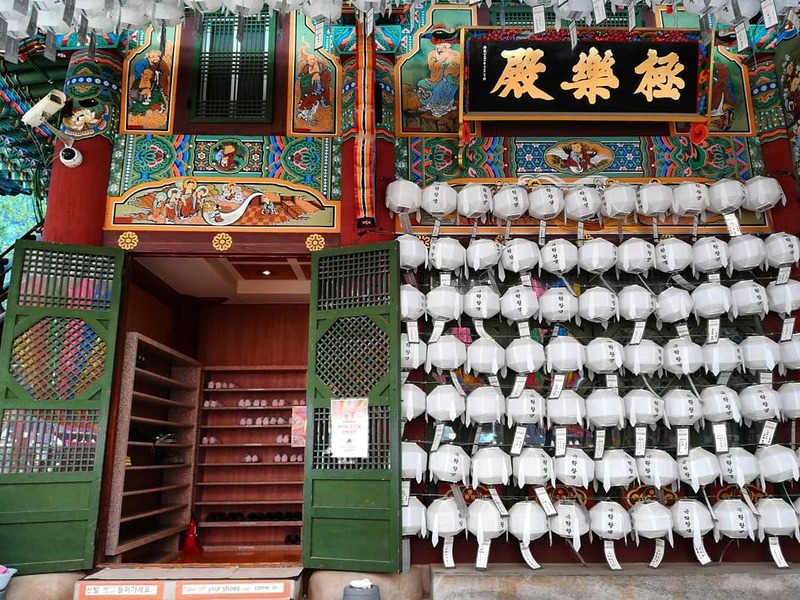 Walking around the Jogyesa temple will definitely make you sweat, a lot. And remember to bring sunscreen, hours under the sun without proper protection can cause lots of damage to your skin. If you’re using the subway as your main mean of transportation, download the metro apps so you can have a better look at the subway map. 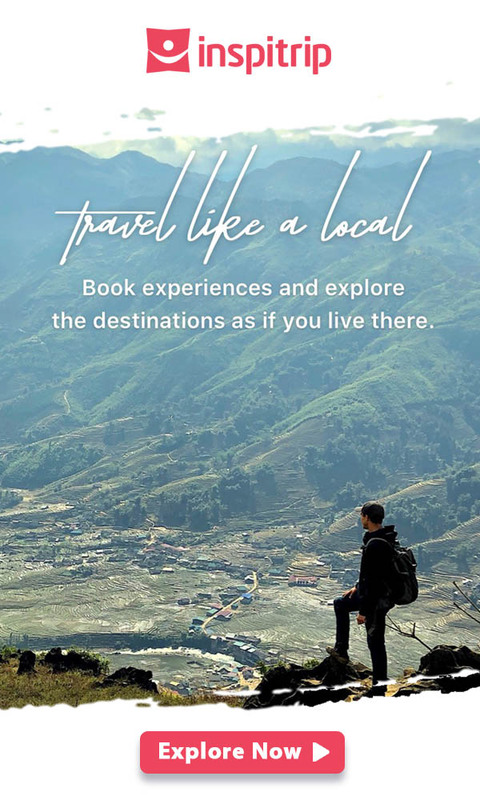 These apps can be very useful for first-time travelers. The train maps might look daunting because it’s so complicated and written in Korean.